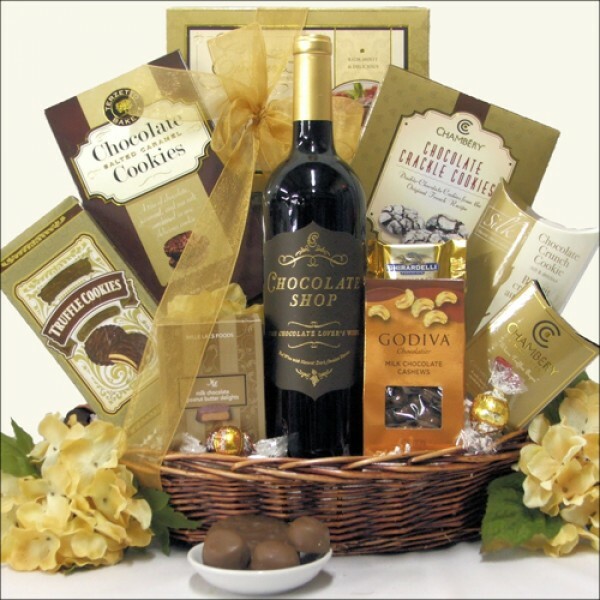 Any chocolate craving they had will be out the window when they receive this delectable Wine and Chocolate Gift Basket. Our Chocolate Haven Gift Basket offers you a choice between The Chocolate Shop's Chocolate Red Wine or Strawberry Red Wine accompanied by Cookies, Snacks and Chocolate from Lindt, Ghirardelli, Godiva and more. This basket is sure to satisfy any sweet tooth.